All ETC network partners, benefit from a complete package of products and services available in the network, produced by Safebridge GmbH. We offer complete and innovative classroom and online training solutions to every member. CAT – Competence Assessment Tool helps companies build high performance teams onboard, based on scientific research. ETC members have the opportunity to become licensed CAT Assessment Centres and offer this service to shipping and crewing companies. The Training Hub provides various types of e-learning courses suitable for professional seafarers and recreational sailors. ETC members have the option to publish their own online courses on the platform, to promote Training Hub courses and to resell the online courses available on the Training Hub. 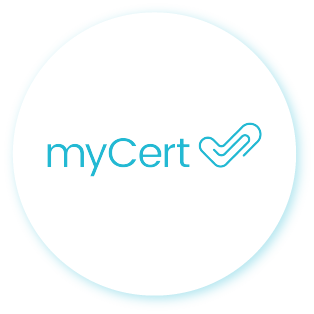 myCert is a complete solution for companies which seek to modernise their certification systems management, issuance and validity checks – all on one secure central platform. ETC members can use this service to manage, issue and authenticate their own certificates. Please provide a person of contact.